To set it up, I referred to the manual from Sophos. Their knowledge base contains the administrative guide. Download the administrative guide for your version of UTM. The relevant chapter is Remote Access > SSL. There also plenty of articles and videos on the web on how to set that up. I won’t repeat them so as not to bore the reader. My aim is when I log into the VPN from a remote location, my traffic should masquerade as coming from the office. To the outside world, my requests comes from the office network’s IP address. To do that, I need to add a Masquerade rule. 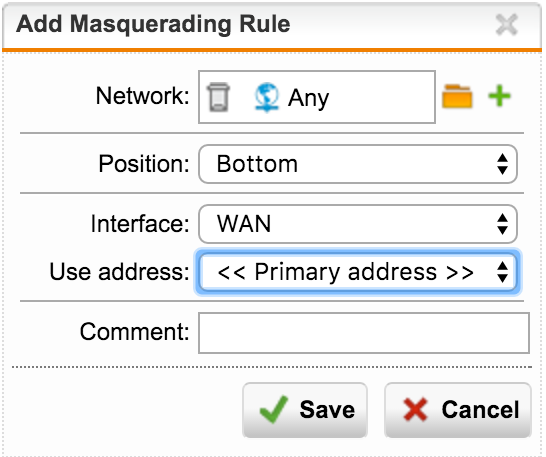 Go to Network Protection > NAT, create a new Masquerading rule by clicking on the button Create Masquerading Rule. Select the network definition which represents the remote SSL users(you would have defined them when setting up the remove VPN). Select WAN as your interface, as you would like the traffic to go out. Click Save. Enable the rule by turning on the rule in the toggle button. Your rule should look like the screenshot below. You’re done. Hope this helps.